Are you tired of using the Vodafone network on your phone? Do you feel like it doesn't fulfill your purposes but you're unable to switch to another SIM? Are you a frequent traveller and can't take the roaming charges anymore? If so, then what you need is a Vodafone unlock code. 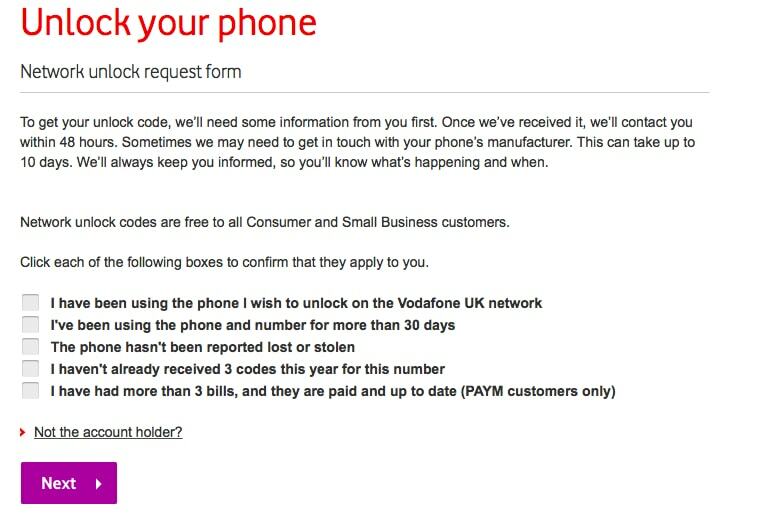 Have you been trying to figure out how to get your hands on the Vodafone unlock code, but don't know of any reliable or safe means to do so? If so, you can read on as this article describes two different means by which you can Vodafone unlock phone. The Vodafone unlock code, or the Vodafone Network Unlock Code (NUC), is a code that you can use on your Vodafone device to make it accessible by other networks as well. Once you have the Vodafone unlock code, you can simply remove the existing SIM and use another one! If you're not sure whether to request the Vodafone network unlock code because you aren't sure if your phone is locked, then you can simply try using another SIM card on your Vodafone device. If the SIM card works that means your device is already unlocked. If not, then you need to read on to figure out how to Vodafone Unlock Phone. Let's say, for example, that you have an iPhone on a Vodafone network and you want to Vodafone Unlock Phone. A great means to get the Vodafone unlock code is to go through the online tool DoctorSIM Unlock Service, as it ensures that you get the Vodafone unlock code within 48 hours or so while retaining your iPhone warranty and not risking anything. The fact that the warranty doesn't lapse on using this should also comfort you, proving just how legitimate a means dr.fone is for getting that Vodafone Network Unlock Code. The simple, fast, safe and legal way to unlock your Vodafone phone. Step 1: Select device brand. From the list of brand names and logos, choose the one which applies to your iPhone i.e., Apple. 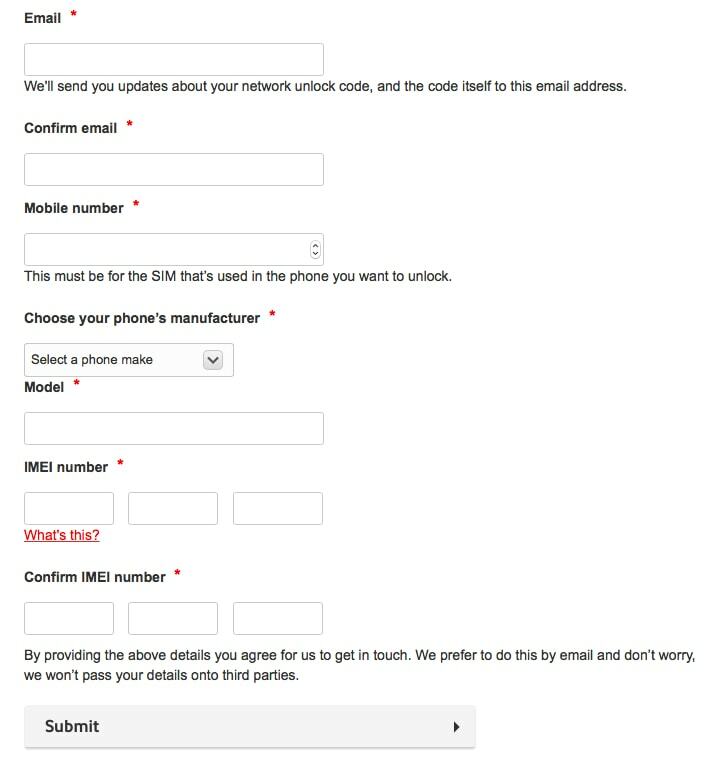 You'll get a request form asking you about your country and network provider. For the latter, select Vodafone. Step 3: Enter IMEI Code. You can retrieve the IMEI Code by typing #06# on your keypad. Enter the first 15 digits, and then enter the email address. Step 4: Receive Vodafone unlock code. Within the guaranteed period, usually 48 hours, you should receive the Vodafone Network Unlock Code in your email address. Step 5: Vodafone Unlock Phone. Enter the Vodafone unlock code on your iPhone to Vodafone unlock phone! iPhoneIMEI.net is another popular online iPhone unlocking service. It promises to unlock your iPhone using an official method and it supports iPhone 7, iPhone 6S, iPhone 6 (plus), iPhone 5S, iPhone 5C, iPhone 5, iPhone 4S, iPhone 4. The phone unlocked by iPhoneIMEI will never be relocked no matter you upgrade iOS or sync it with iTunes/iCloud. The other alternative by which you can get your Vodafone Network Unlock Code is directly through Contacting Vodafone. This is another perfectly legitimate means of doing this, however in this case it might take anything between 2 to 10 days to unlock Vodafone phone, and even so your application may be denied for a variety of reasons. However, if you'd like to go ahead with this process, read on. Step 2: Check the boxes. You'll find a mini-questionnaire detailing the requirements for the Vodafone unlock code. You may tick the ones which apply to you. Step 3: Fill in Request Form. You'll have to fill in all your contact details, phone number, phone manufacturer, email address, and the IMEI Number. 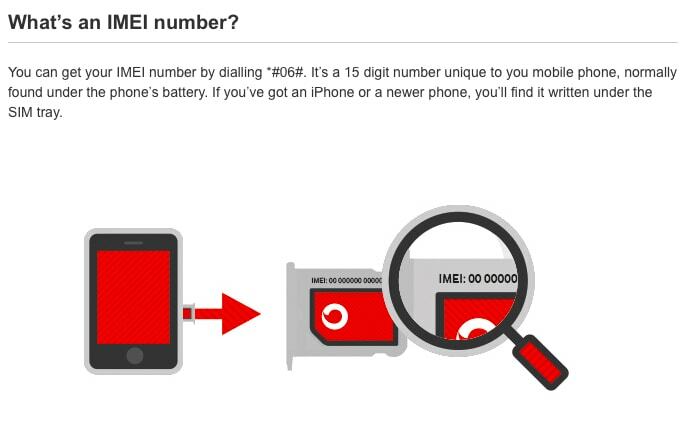 The IMEI Number can be retrieved by typing #06# on your iPhone keypad. If you have a newer iPhone model then you can find the number printed at the bottom of the SIM tray. You only need the first 15 digits though. Step 4: Wait for the Response. You'll be contacted with the Vodafone Network Unlock Code within 48 hours. However, sometimes they might even contact your phone manufacturer and the process might take as much as 10 days even. After you follow all these steps hopefully you'll be able to Vodafone unlock phone. There are a great many benefits to getting that Vodafone unlock code and finally being able to turn your phone contract-free. You may use either of the two means mentioned above of course. However, from personal experience I can testify that the route through the Vodafone carriers themselves can be a lot more time consuming, and often frustrating effort. Plus, it still doesn't guarantee results because as network providers it is in their best interests to retain as many users as they possibly can. However, dr.fone - SIM Unlock Service, being a legitimate third-party tool, doesn't have any such allegiances. As such it can ensure that anyone who applies with an IMEI code will receive the Vodafone unlock code within 48 hours of application, making it a far better option. Can you get SIM Network Unlock codes for free? Read on to find out if you can.